Stewart Wright, founder of YourDMS Ltd is featured ‘In Profile’ in this month’s issue of The Business Exchange Swindon & Wilts magazine. This month The Business Exchange’s special business feature is business continuity, data protection and security. As part of the feature, Anita Jaynes, editor, met up with Stewart to talk about YourDMS. She wanted to know what was the inspiration for starting the company – ‘the opportunity to really help provide cutting edge software, tailored to a company’s individual needs.‘ – what we can offer our customers and what makes us different. You can find the complete interview here on page 25. 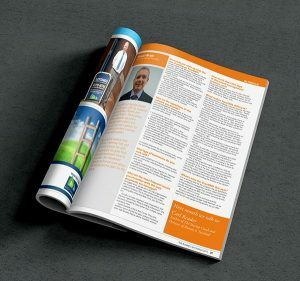 You can check out our latest Document Management advert on page 20. Also part of the feature, our article, ‘Are you in control of your business critical documents?’ talks about the impact that lost or misfiled business critical documents can have on your business, and is available to read on the TBE Swindon & Wilts website here. How can a document management solution help with GDPR compliance?